It’s Sunday night, and you can’t seem to stop scrolling through your Instagram feed. You’re thinking of posting a picture, but you’re not sure if it will get enough likes to be worth it. You don’t have that many followers, and you wish you could be like those bloggers, or “influencers,” that instantly have thousands of likes just three seconds after posting. 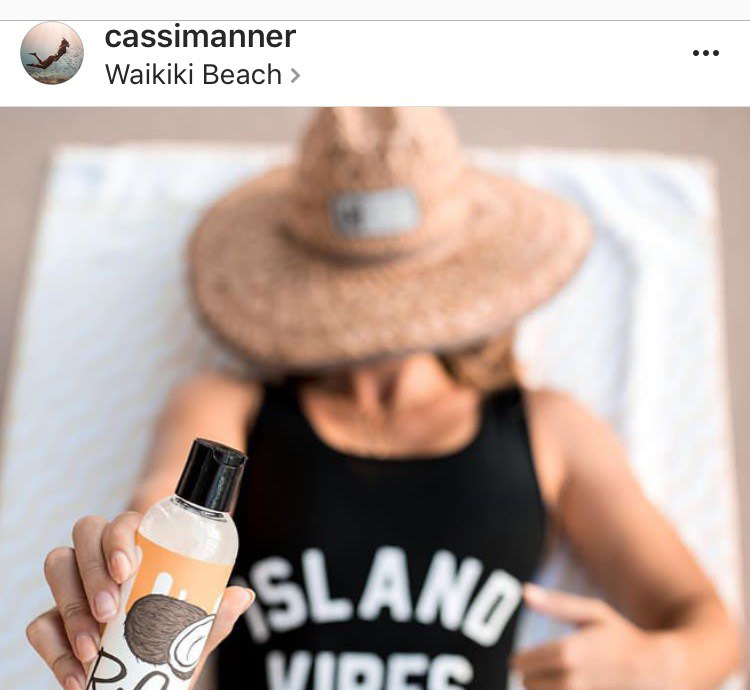 Influencers are lifestyle bloggers on Instagram that become “instafamous” and receive free products from different companies or brands to post about their products. These instagrammers are raking in the perks, and the new trend they are driving has changed – and continues to change – the marketing industry. According to eMarketer, 59 percent of millennials are active on Instagram. And Instagram’s US base is the largest in the world, with 88.48 million monthly active users. Cassi Manner (@cassimanner), is a senior pre-law communications and philosophy major. Currently, she works as Marketing and Public Relations Manager for Pretty Girl Makeup, a cosmetic line. Manner has more than 36,000 followers, and gets around 3,000 likes per day. She began her journey to Insta-fame as a hobby in 2014. In Oct. 2016, she started to make her Instagram account a part-time job. She models and endorses several swimsuit brands and outdoor sporting goods, such as SRAA Swim. When she posts her pictures, Manner does not write much about the product. Instead, she uses her image to gain the attention of her followers. In her posts, she tags the username of the product or business, the photographer, the makeup artist and sometimes her model agency, Inter Modelo. Manner said she can get paid around $100 per post. She uploads a picture around seven times a week, so that means that she can get paid around $3,200 per month. In her pictures, Manner exemplifies a fit body and strong attitude, and wears a smile on her face. She also posts about fitness, travel and lifestyle. Social media marketing consultants and businesses are now comprehending that social media is a great way to get the word out to their customers and influencers are the way to do it, according to Meredith Cernuda, owner of Get Social. Jenn Thai is a 25-year-old lifestyle blogger who specializes in living, fashion and food in the Tampa Bay area. Thai has almost 6,000 followers, and her daily posts consist of different food places in Tampa like Fresh Kitchen, Caffeine Roasters, Bartaco Restaurant and Marlow’s Tavern. Thai also sponsors brand clothes like Vince Camuto, Likely and French Sole. Thai uses the Instagram Stories to show products and the places she visits. All of her posts are taken with a huge Cannon 5-D to give quality photos to her followers. Thai explained that all her posts are about being yourself, and that is a huge thing that bloggers can provide their followers. “The main reason that users follow influencers is not only because they trust their advice, but because they know what you are telling them is genuine and authentic, they value your opinion,” Thai said. Sponsored content is one of the reasons the blogging industry exists, and a reason why Thai keeps it as a part-time job. Sometimes she gets free products such as shoes, accessories and free meals; other times she gets paid. Gary Beemer, visiting instructor of Marketing at UT, said that what popular influencers are doing with their social media content is monetizing it. Influencer marketing is a form of marketing with its focus placed on a “role model” for consumers, rather than the target market as a whole. Influencer marketing is now more powerful than traditional advertising, according to UT professor Jennifer Burton, who specializes in consumer behavior and social media marketing. Burton said that companies do not always know what customers want to hear when they use the traditional method. More than influencer marketing, Instagramers from UT are using attraction marketing, a way of communicating a product in a way that is attractive to others, one of them is Kayla Caputo, a junior human performance major. Caputo said, that although she gets around 2,000 likes per post, she can have around 20,000 views on them. With more than 10,000 followers the 20-year-old now gains an average of $2,000 per month using attraction marketing strategy, after she created her own hair care business, named after her own Instagram account, @kayla_caputo. Daily, Caputo has around 5,000 views on her Instagram stories, and most of them are about her happy clients after trying the different Monat hair products she sells through her company. The Influencers’ world is not only for women. Male influencers are among us here at UT. Narenzo “Zero” Kershaw, a sophomore filmmaking major, attracts his almost 13,000 followers by scaling beautiful mountains, swimming in waterfalls, having fun at music festivals and more. The 19-year-old student created his account while in high school. Its name @young.dreamerz, comes as a support of the Deferred Action of Childhood Arrivals (DACA ) policy. Kershaw’s content is more about traveling, extreme sports, knowing new cultures around the world, a little bit of male fitness and breaking out of your comfort zone. Because of social media, there is now a two-way communication between brands and clients, according to Beemer. “So no longer are we just talking to your consumers, you are available to have a conversation with them, and have an engagement with the brands and product, services or ideas and you let them be part of it,” Beemer said. That is exactly what Kershaw has been doing with Organic Fuel, a protein shake for athletes he endorses. Organic Fuel was just starting when Kershaw reached out to them last December, and they gave him the contact of the Human Resources Manager. “I told him that I was going to start a fitness journey, and was wondering if they wanted to sponsor me, they saw that I have a lot of social media influence, so now I am benefiting them with publicity and they are benefiting me with sponsorship,” Kershaw said. “They pay me, give me free samples of the product and invite me to events.” The fitness journey he planned with Organic Fuel was to bulk up his body and become stronger, which he accomplished. Thai said that the secret of influencers’ success is because it is interesting to see people’s “perfect” life through their own personal lenses, through an iPhone or a professional camera. That is what keeps Instagram different from Facebook, Twitter or other social media. Instagram is such an intriguing visual platform and it really lets you be you, be creative, and explain your life not in words, but in pictures and get paid doing it.